An original Eichler home in the Barron Park neighborhood is comprehensively renovated for owners with a lifelong devotion to modernism. A new roof monitor with north-facing clerestory windows illuminates the public spaces. 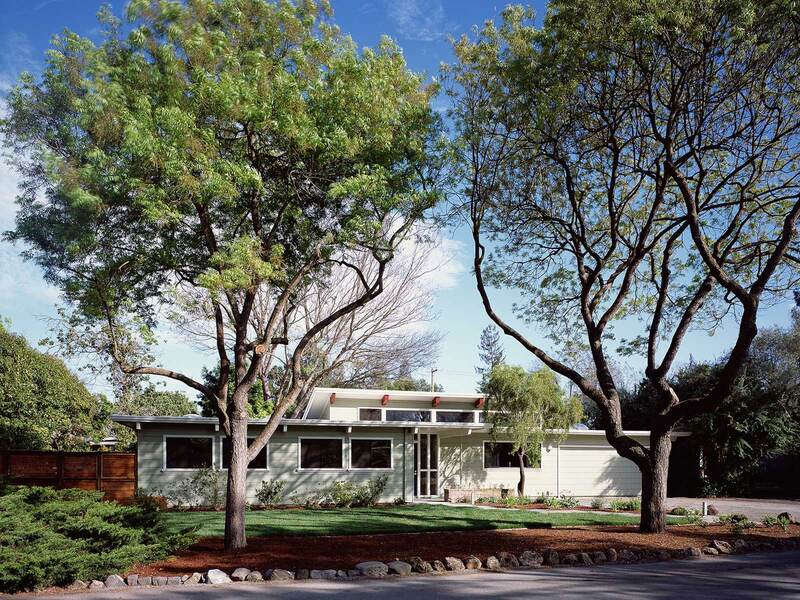 All work harmonizes with and expands upon Eichler’s original design intentions of openness and flexible function.